This up-to-date book takes a fresh look at regulation and risk and argues that the allure of regulation lies in its capacity to reduce risk whilst preserving the benefits of trade, travel and commerce. Regulation appears as a politically attractive, targeted and effective way to ensure that disasters of the past are not repeated. Diverse challenges are tackled through regulatory means - including the industrial, financial and terrorist-related hazards analysed in this book. 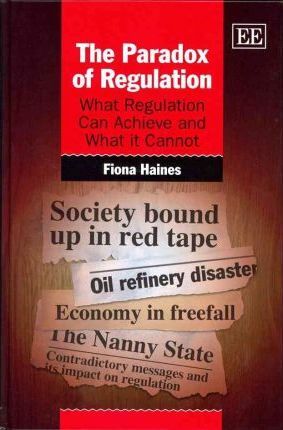 Fiona Haines' empirical work shows, however, that regulation attempts to reduce risks beyond their stated remit of preventing future disaster. Her analysis reveals a complex nexus between risk and regulation where fulfilment of regulatory potential depends on managing three fundamentally different types of risk: actuarial, socio-cultural and political. This complex risk management task affects both reform and compliance efforts, generating tension and paradoxical outcomes. Nonetheless, Haines argues, enhancing political legitimacy and public reassurance are central, not peripheral, to successful regulation. This insightful book will appeal to academics, researchers and postgraduate researchers working in regulation across law, politics, sociology, criminology and public management. Masters of public management, MBA students, public administrators and regulators, as well as political commentators, will also find this book invaluable.